Once you are logged into your database you will have many options to choose from. In this Support article we will be looking at how to access a database table and how to export/backup a database. How to access and edit a table. 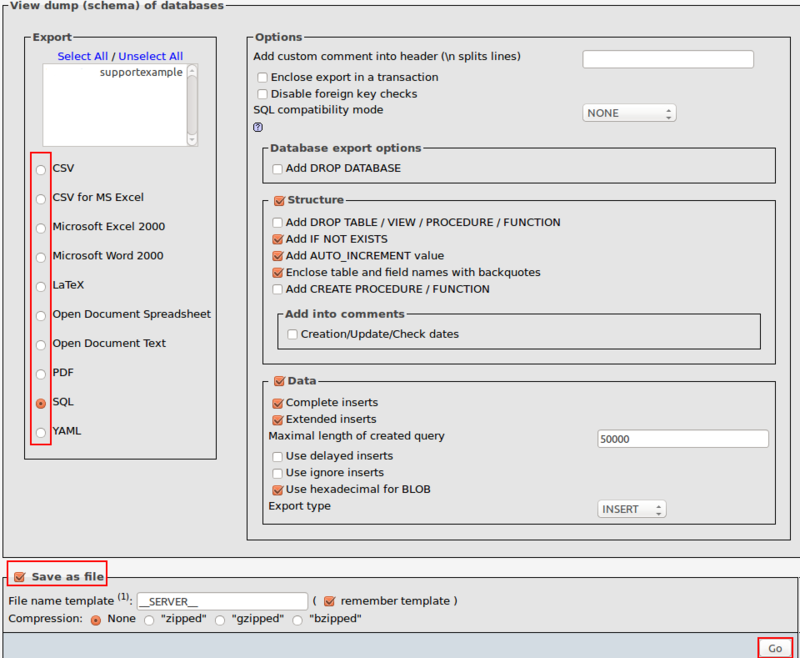 In order to edit a database table you will need to click on the table on the left (table_example). This will display all your database fields and give you options to add new fields, edit existing fields and delete fields. 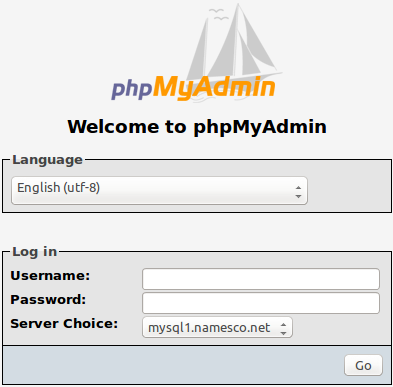 There are many guides on the internet to assist with using phpMyAdmin, so I advise looking through these before making changes to your database. How to export / backup a database. Now that you have access to your database and know how to make changes we recommend exporting a copy of the database as a backup. This is in case you need to roll back to a previous state due to an error or data loss. 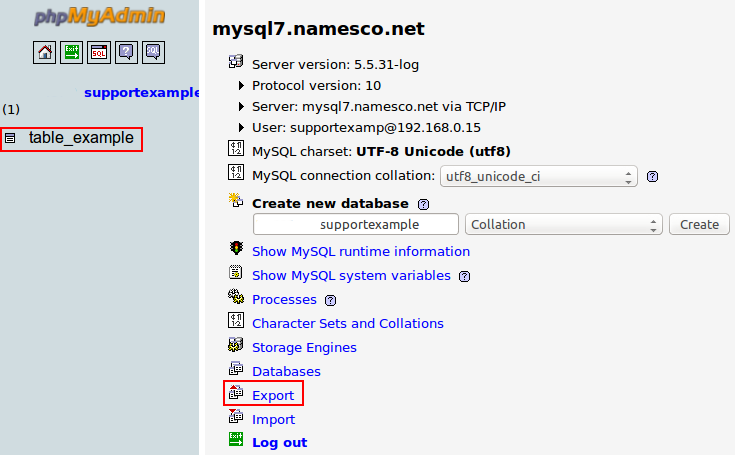 To export a copy of the database log in to the database through phpMyAdmin as described above. You will see the options as I have shown below. For the purposes of a backup, you only need to select the Export type (CSV, PDF, SQL, etc...), ensure the Save as file box is ticked, and select Go. All that remains to do now is ensure you keep the copy safe as you never know when you might need it. If you have a website that is constantly updated, for example a public blog, we recommend backing up the database and website frequently.